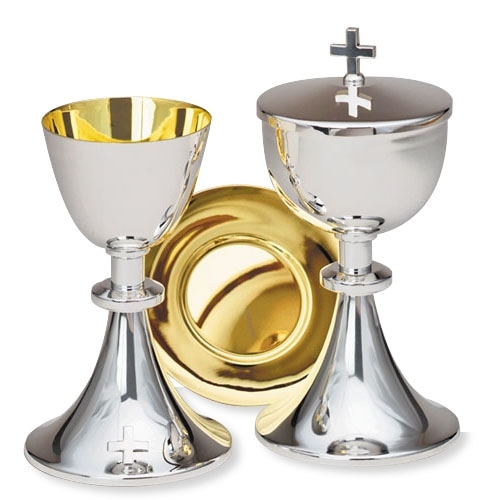 This classic ciborium features a simple cross on the top of the cover, a silver plate exterior finish and gold plate interior finish. Perfect for any altar or special service. Holds approx. 150 hosts. Design also available as a Chalice and Paten (item# A5532).